We are one of 19 VA Health Services Research & Development Centers of Innovation (COINs) as of October 1, 2013. Our Mission is to develop and test innovations for improving the effectiveness and value of VA healthcare. 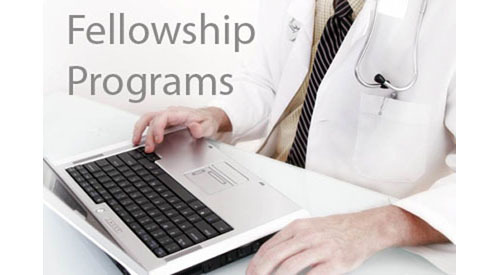 We have been an approved VA post-doctoral training site since 1994 and we've offered Associated Health fellowship training since 2002. CSHIIP's mission is to develop and test innovations for improving the effectiveness and value of VA healthcare. Investigators focus on implementation, observational and intervention research on provider behavior, quality improvement, collaborative care models and assessments of organizational factors related to quality. Research projects conducted address a core set of strategic program areas including, but not limited to, vulnerable populations, primary care, women's health, integrative medicine, genetics, mental health and emergency management. For more information, see our Research Areas. In addition to research collaborations, we conduct multi-site and multi-VISN intervention and implementation trials with clinical trials with clinical leads across the country. Our principal partners are the Office of Primary Care, Office of Women's Health Services and Office of Informatics and Analytics. These research-clinical partnerships each reflect over a decade of prior collaborative work. We also partner with resource centers and national program offices with clinical, practice and research focuses. For more information about our partnerships, please see our Partner & Resource Centers. Our investigators contribute to policy and practice through numerous leadership roles. They make particularly strong contributions to VA Central Office, major health care quality agencies and organizations and professional societies. For more information about leadership roles, see About Us. Investigator Insights featuring CSHIIP Investigators. Improving Schizophrenia Treatment by Alexander Young, MD.